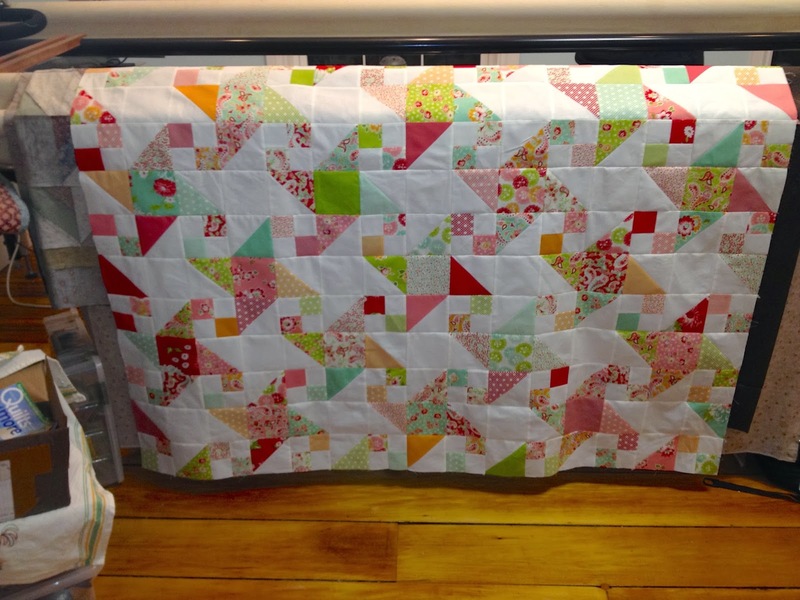 Quilting Adventures: Hey, how are ya'll doing ...? I do hope well! Myself, I've been keeping out of trouble. ;o) Getting lots done on the quilting front. I sure hope you are too! A while back, geezz yea back in November, I wrote a post about playing with a fabric line, Scrumptious by Bonnie and Camille. The top has been finished for quite some time, I just forgot to share! The pattern is called Surfside by Camille Roskelley. Scheduled a play date with Penelope. And voila! A done deal! Such a happy fabric line! I love how it turned out! Cette courtepointe est très jolie, j'aime beaucoup !!! SO süß! Ich denke, ich brauche eine Penelope. That's a great fabric line! 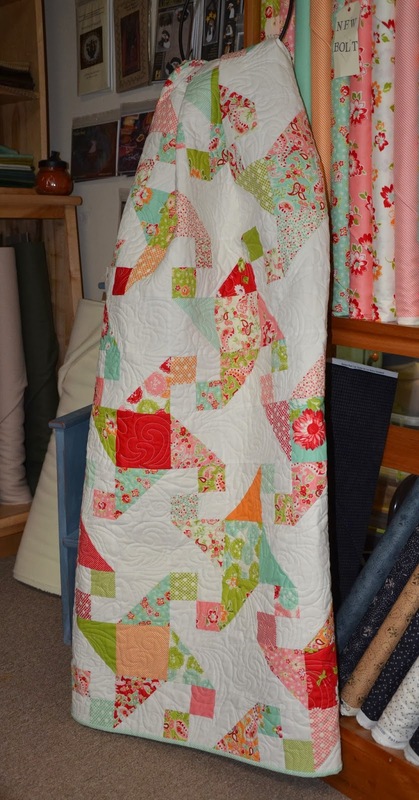 It looks really nice and the quilting looks lovely. Beautiful quilt and beautiful quilting. I really need to get going on the tops I made, but some I want to do nice quilting, so I need to practice my free motion. I could kick myself for not buying a used pfaff quilter, not the best machine, but would have been nice to have a long arm to quilt with.